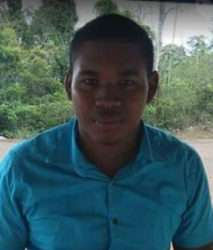 An 18-year-old miner died on Sunday afternoon after the mining pit he was working in caved in at Konawaruk Backdam, Potaro, Region Eight and the Guyana Geology and Mines Commission (GGMC) has promised a full investigation. Dead is Ramold Williams called ‘Fat Man’ of 58 Miles, Mabura Road. Williams has been a miner for more than one year. The incident occurred around 18:00 hrs on Sunday. According to reports, Williams and four other men were working in the mining pit when the eastern wall caved in and covered him, while the others ran for cover. A search in a bid to rescue him saw his lifeless body being discovered. He was taken to the Mahdia Hospital where he was pronounced dead. The Guyana Geology and Mines Commission (GGMC) in a release said it was saddened by the death of Williams while noting that a Committee of Inquiry (CoI) is planned to fully investigate the matter. Minister within the Ministry of Natural Resources Simona Broomes has been tasked by Minister of Natural Resources Raphael Trotman to immediately visit the area to ascertain the circumstances leading to the death of the miner. The team will also include representatives from the GGMC and the CoI will also be launched within 72 hours. When contacted by this newspaper, Fayone Williams, sister of the dead man, related that she last saw him alive when he left home for work in Konawaruk Backdam. The grieving sister said that while it was usual for Ramold to be away from home working for long periods of time, he would usually contact his mother every day. According to her, he did so on Sunday morning. “He call mom and told her that he dream he get juk up and she told him must pray and is later that afternoon a friend of his call and told us that the pit cave in and they can’t find he,” Fayone said. She said after this tragic news, several calls were made to Konawaruk Backdam with the hope of hearing that her brother was found alive but one hour later, their worst fear was confirmed. The Ministry of Natural Resources expressed condolences to the family, colleagues, and friends of Williams. His body is currently at the Mahdia Hospital mortuary awaiting a post-mortem examination. Over the past few years there have been several such occurrences in the mining industry, many of which resulted from the failure to follow safe practices.